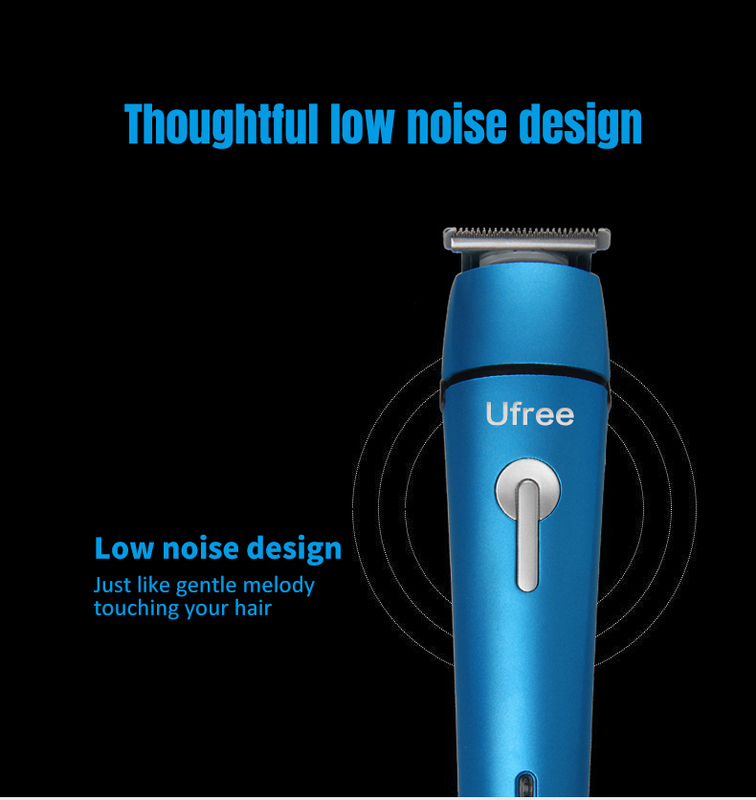 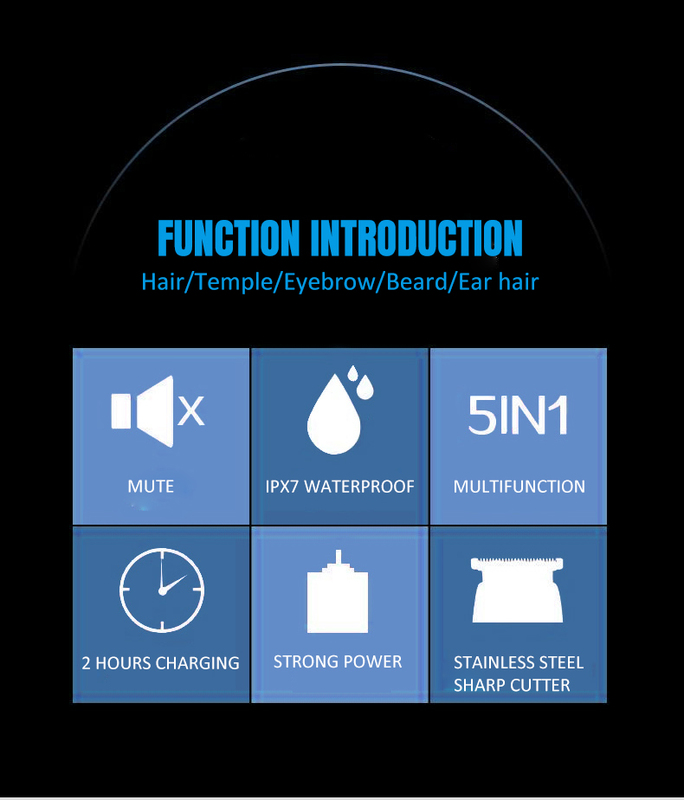 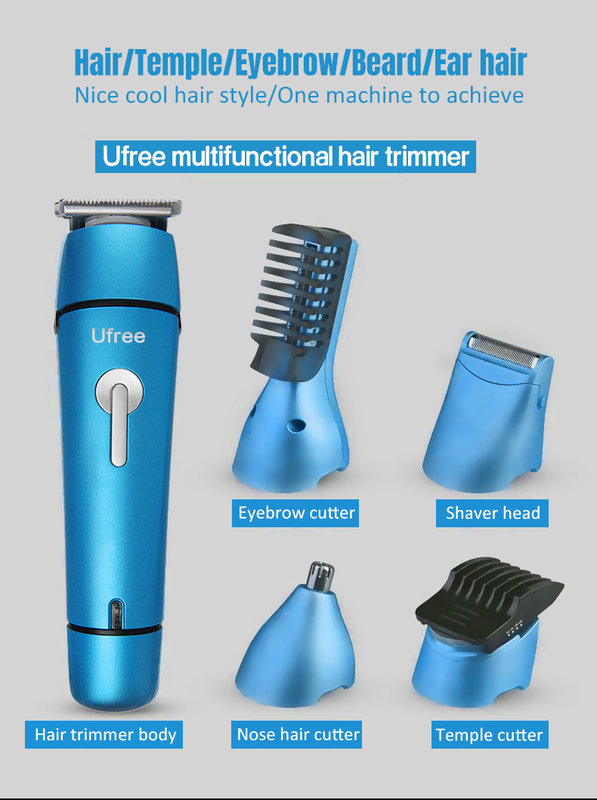 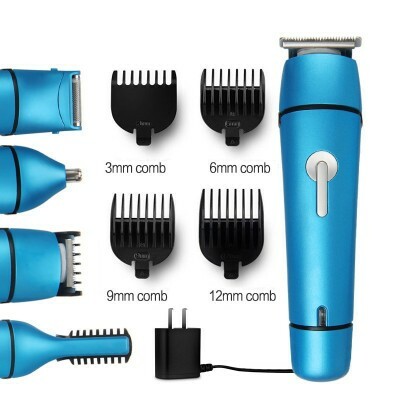 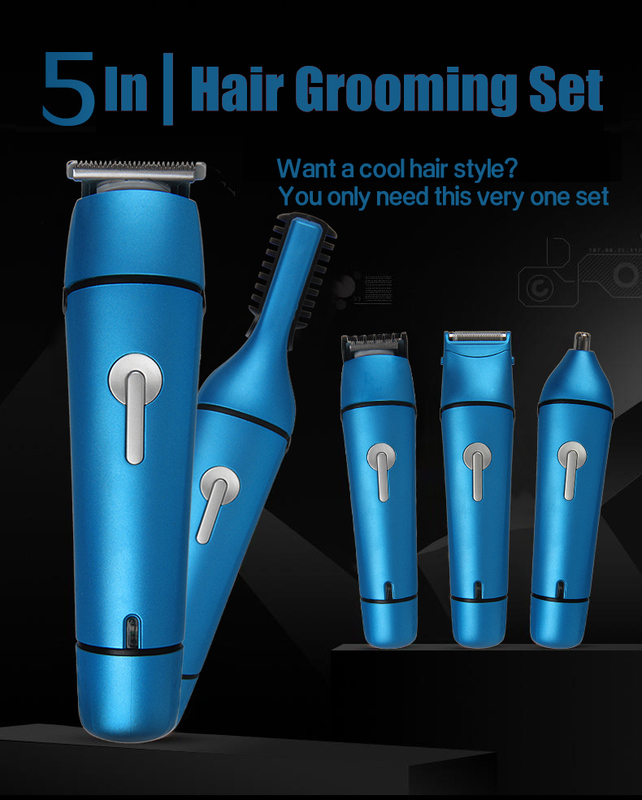 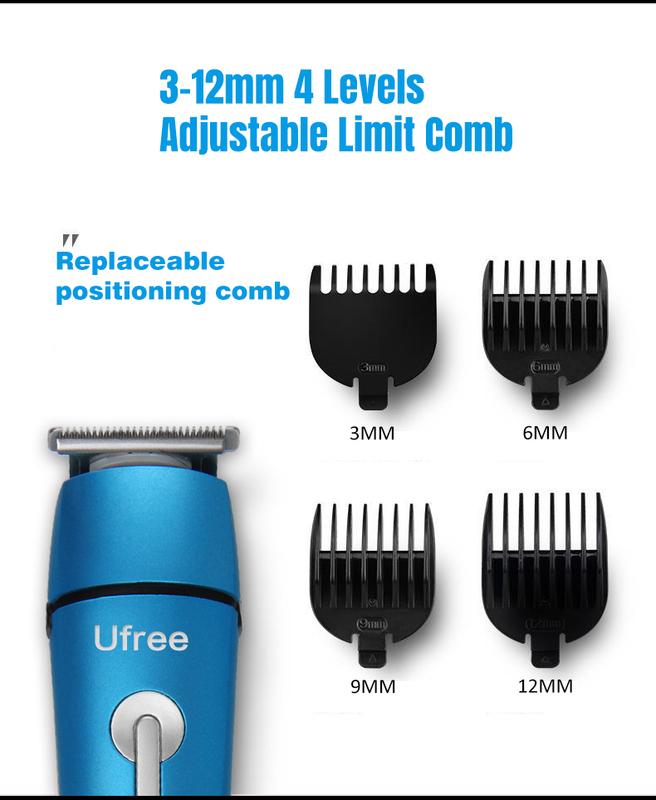 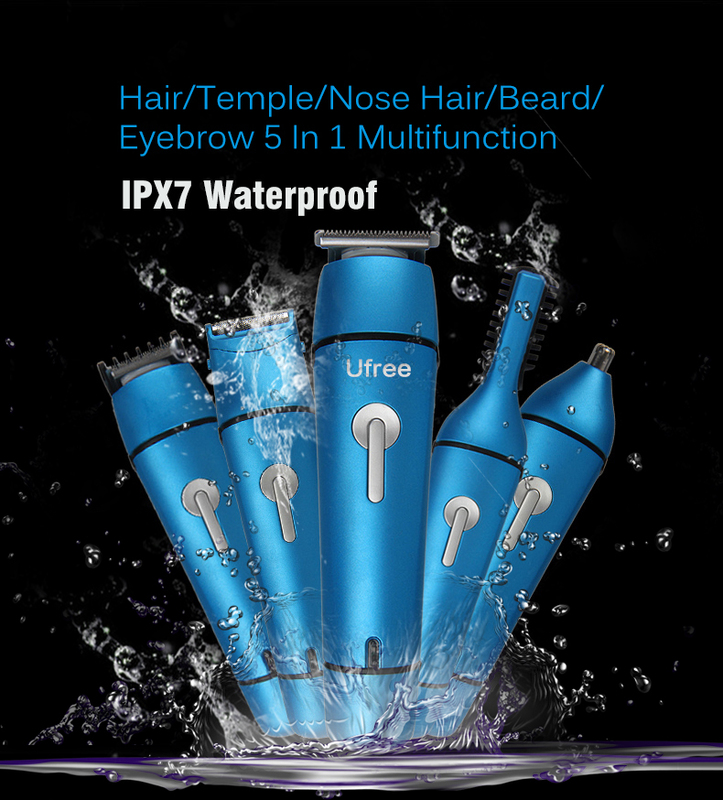 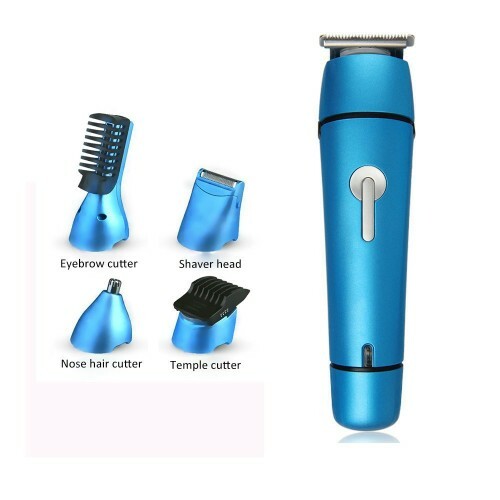 5-in-1 multifunctional tool, contains 5 replaceable head, used to trim hair, beard, nose hair, ear hair, sideburns, eyebrows. 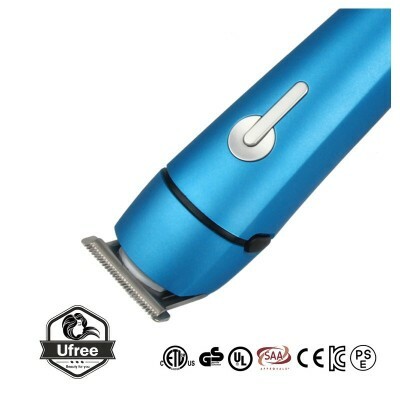 Body using ABS and aluminum alloy material. 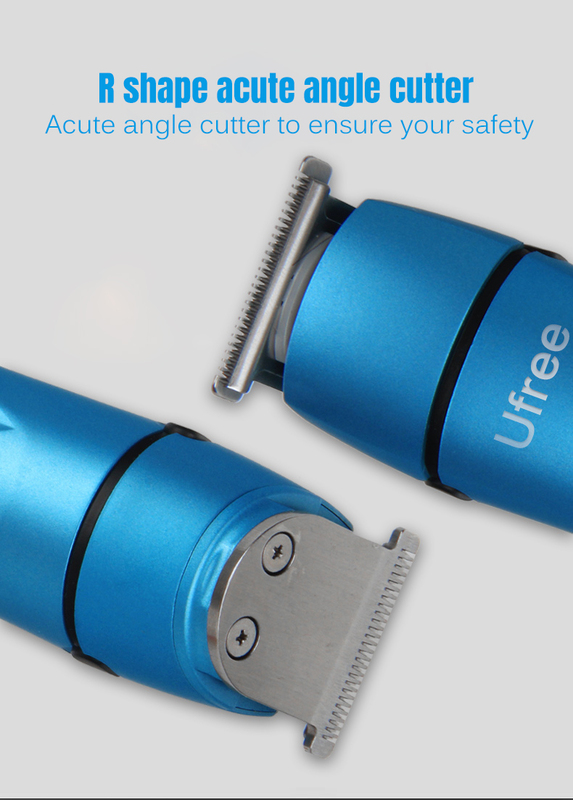 Stainless steel sharp blade and fast shaving, painless. 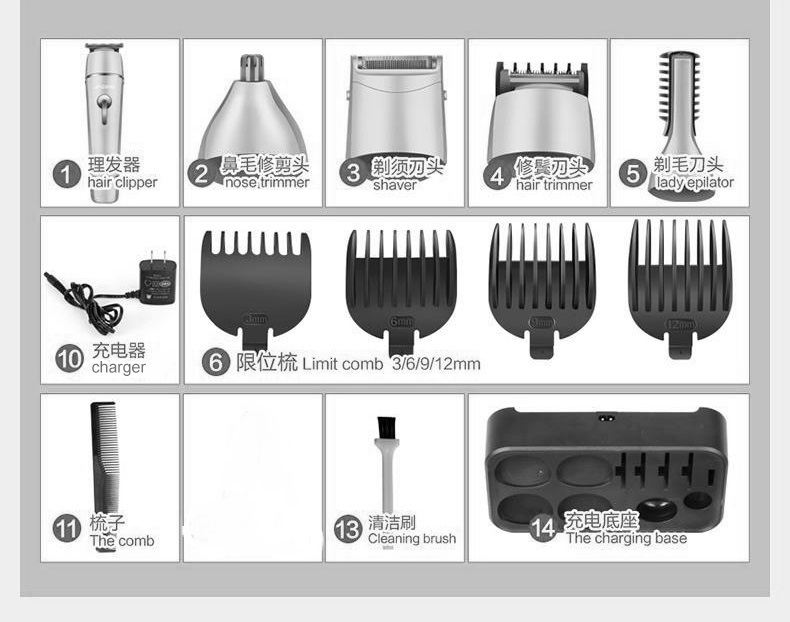 Only the head can be washed. 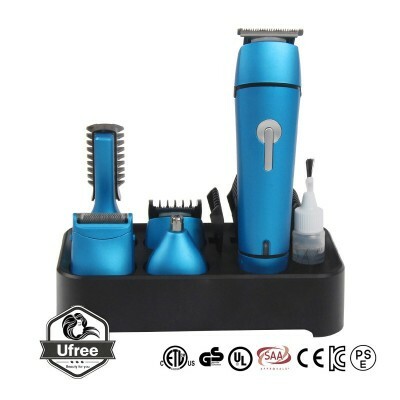 Used for man and woman. 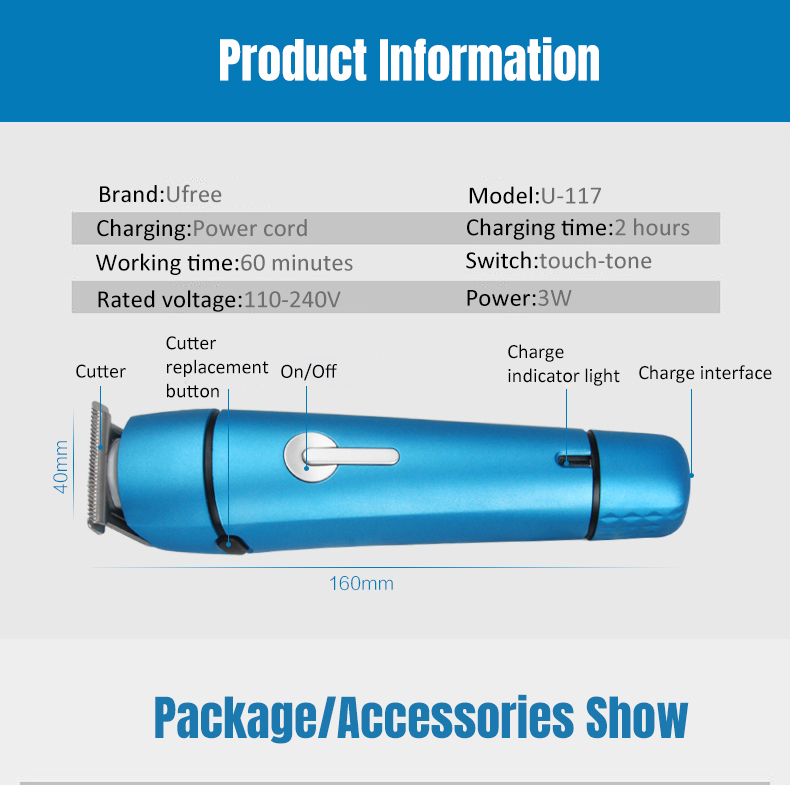 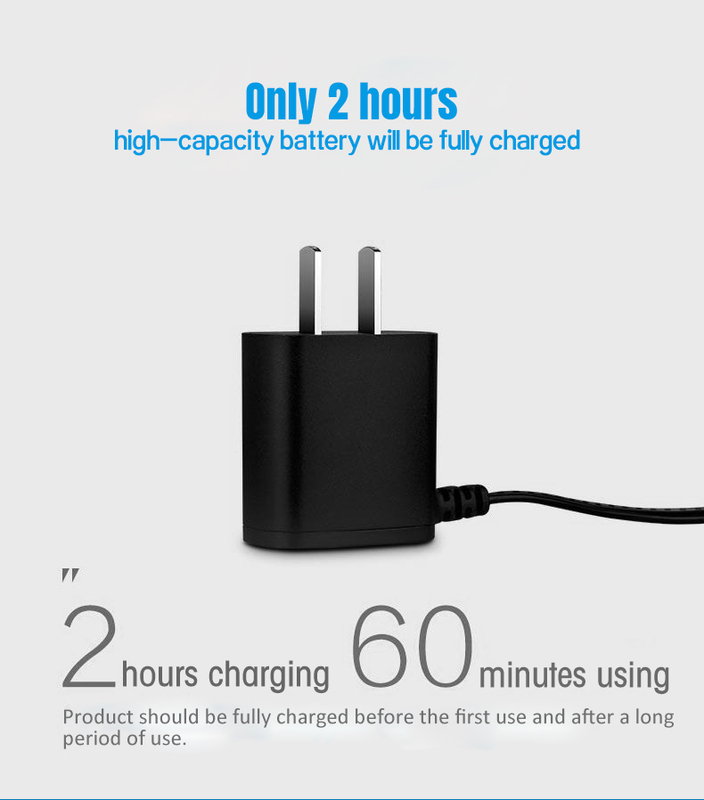 The plug of the product is EU plug , you can choose US/AU/UK plug when you order it , we will provide one converter to you for free. 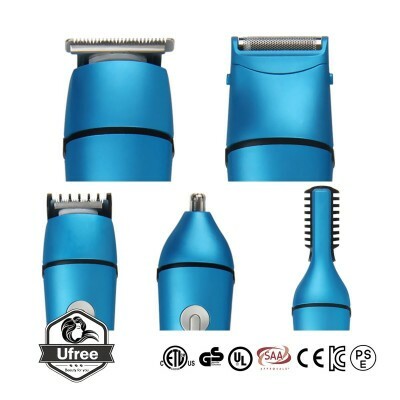 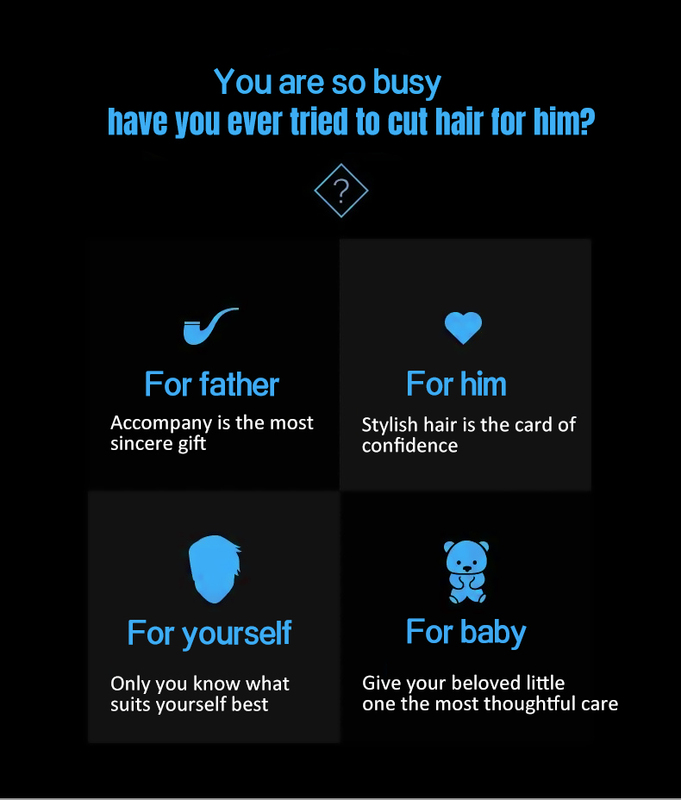 Different types of hair clipper heads can satisfy different hairstyles, good.